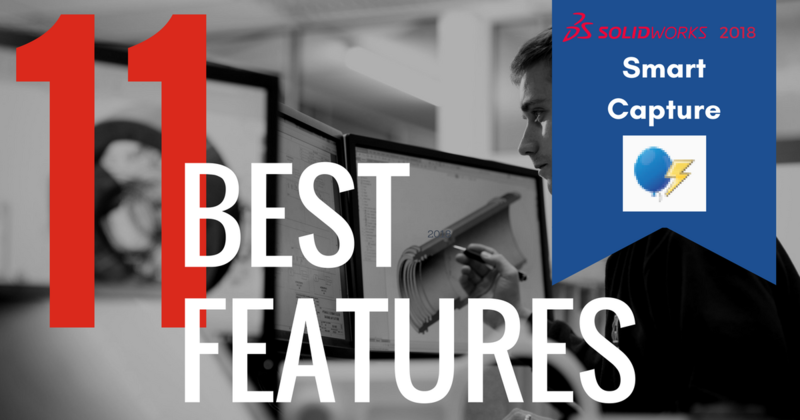 One of the best aspects of SOLIDWORKS is that it’s not just a 3D CAD tool, but that it's a complete engineering solution. Tools like SOLIDWORKS Simulation help us analyze our designs and test them for critical attributes such as strength and fatigue. In SOLIDWORKS 2017 and previous versions, Simulation Professional even included a tool that would allow us to optimize our design for a set goal while varying many of our design parameters. This took a lot of the guesswork out of creating the best possible design and reduced the number of iterations that were required in the design cycle. SOLIDWORKS Simulation Professional now includes Topology studies. With every new release, SOLIDWORKS gives their users more functionality and value, while keeping subscription costs unchanged. SOLIDWORKS 2018 includes a new package that enables users to create CNC toolpaths directly from their SOLIDWORKS parts and assemblies. Exploded views are a great way to show all the components in your assembly, and explode lines help to explain how they fit together. In SOLIDWORKS 2017 it was easy to create explode lines, but if you had many different components and many instances of those components, the process could become a bit tedious. You had to create explode lines for every single component, and for every instance as well. I’ve always felt that mating components in an assembly was one of the most exciting parts of creating my designs in SOLIDWORKS. After putting in all the work to build up the individual components, I was finally able to see how they would all interact. SOLIDWORKS gives us so many unique tools to check for interference or collisions and simulate the motion of our components. Putting my parts together in an assembly is the point in the design when everything starts to come to life. Anyone who used SOLIDWORKS 2017 knows that moving your license from one machine to another could be time-consuming and cumbersome. Well, say goodbye to those days! SOLIDWORKS 2018 updated to online licensing and is saving companies huge amounts of time and money by being more efficient than ever. With so many new enhancements, it’s hard to decide which SOLIDWORKS 2018 features to try first. If you work with multiple CAD systems, consider adding SOLIDWORKS Inspection 2018 to the top of your must-try list. Here's why the new Smart Capture feature is a TriMech favorite! Designers and engineers already love sketching in SOLIDWORKS because its the foundation for most 3D models. But what if they could take these sketch tools and make their design cycle more efficient? Now, they can. Model Based Definition (MBD) is becoming more and more prevalent in today's designs. Through SOLIDWORKS MBD and the DimXpert tool, we can add our dimension and tolerance data directly to the 3D model, helping to eliminate the need for 2D drawings, while more effectively communicating our designs. Keep reading to learn how SOLIDWORKS Inspection 2018 now allows us to utilize this information to create first article inspection reports right from the 3D model. SOLIDWORKS Visualize is famous for its ability to give designers a photo-realistic view at their design animation before ever being finalized and manufactured. And while it is already hugely beneficial to the design community, SOLIDWORKS 2018 out-did itself with the latest update to Stereoscopic Virtual Reality (VR) Rendering. Creating fixtures for sheet metal and weldment assemblies can be a costly and time-consuming process. Care must be taken to ensure the parts align correctly and that the final product is built as designed. Fortunately, SOLIDWORKS 2018 provides users with new functionality that will make this process easier than ever. Read why the Tabs and Slot feature is among our favorites in the recent SOLIDWORKS upgrade. 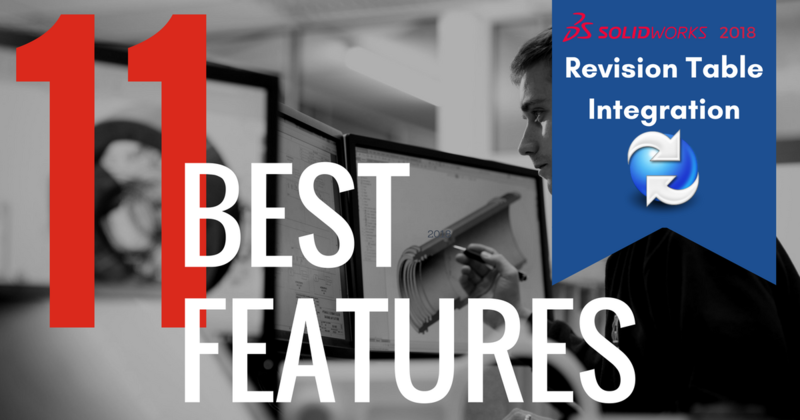 The release of SOLIDWORKS 2018 provides many enhancements and improvements, most of which were created in response to requests from customers like yourself. These enhancements deliver improvements to existing products as well as introduce new functionality.